What’s up with gun shows? Have any of you guys knowest that at alot of guns shows they be selling alot of junk? I thought that gun shows suppose to have good prices on guns but they sell them at regular prices, and there ammo are the same too. You dont get no deals at gun shows, What up with the junk, books, old thing, all kinds of junk, what up with that? Many seasons ago, some companions accompanied me to a fire arms exhibition. Despite my reputation of being niggardly with my gold, I stowed a few coins in my purse; lest I be presented an opportunity to covet a rare item at a favorable price. Shortly after our arrival, we felt betrayed by the local yeller, whom had foretold of this weaponry festival that was rumored to attract both merchants and interested parties from far corners of the land. To our astonished disappointment, we felt that we had instead stumbled into a bazaar that was fit only for common fools and beggars, put on by filthy vagrants and layabouts. I too, knowest of what thy speak. The internet is what happened? It used to be the way to get around what your local shops had, and now only seems to be a place where you can go and get things that are too buly to ship (like ammo containers) at a good price. I agree the internet is probably the issue. 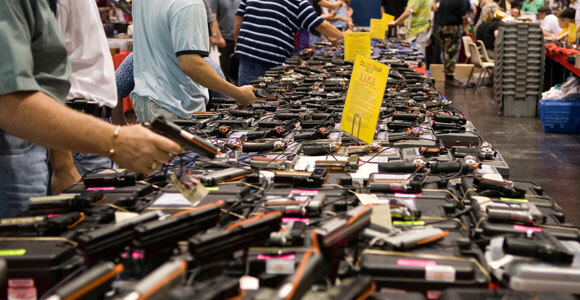 I still think it is a mistake for vendors to not get a tables and make their presence known locally at gun shows. There are plenty of older people that have lot of money, that would probably love to see some guns and make purchases. Also, the one thing you can’t yet do on the internet is actually handle the product and make your own opinion before you actually put down the money to buy it. Who ever is sponsoring the venue is at fault. The club I belong to has a couple shows a year at the fairgrounds. Every table/booth there is strictly limited to firearms, accessories and militaria. No exceptions. People come from quite far away just for that fact. No beanie babies, etc etc. That’s a good idea to have a policy like that. You can always haggle with a dealer, if you got a silver tongue. I really haven’t been to a show in awhile. I’m kind of interested in the one at the fargo dome. Have you ever been Mike? I did find a FFL across the river so I could prolly talk someone down 20 bucks and find a fair deal. No I haven’t been to a gun show around here in quite a while! I went to one here in town just last week and it was nothing except WWII 45’s, some stripped AR lowers and tons of fancy rifles from Austria and the like the Average Joe can never afford. I went hoping to find good prices an ammo at least and I can get the same prices (and availability) at my local shooting range. And for those who blame the internet, I think the prices on gunbroker and all the others are the same as I get at my local FFL, and that’s before paying for shipping. So, maybe the Internet and gun shows work for people trying to buy antiques and/or who don’t have a reputable gun dealer nearby, but living where I do, they are useless. Yea it’s lucky they are cheap (or free) to go to, or else I’d probably never go to another small gun show.